Pick up & delivery available upon request. Got a horse that needs training? At Wojo's Horse Training we've got you covered! Training all breeds of horses, including gaited horses, mules and donkeys. *Colt Starting: Wojo's take in any age of horse and work with it from the ground up. Starting with halter breaking, ground manners, bending, flexing, driving, accepting the bridle and saddle and learning respect for the rider. Horses are worked in the round pen and small indoor arena, graduating to the outdoor arena and trail. Wojo's will work the horse on trail riding, cattle work, or games, etc, depending on the direction the horse owner wants their horse to go. You tell us...We'll listen! *General Training & Trail Riding: Consisting of stopping, backing, turning and standing for mounting. Putting the miles on is always a consistency here at Wojo's Horse Training. If you are looking to get your horse ready for the trail, well...we can get it done! Trail riding in our area includes riding your horse through ditches, across bridges and railroad tracks, through tight trails with lots of trees, down the township road, along a highway with steady traffic, and sometimes into town. At Wojo's we have dogs, four wheelers, tractors with drags, kids and a steady amount of traffic in our yard for your horse to become accustomed to a variety of disturbances. *Problem Horses: Wojo's Horse Training takes in problem or sour horses. Working with the horse and owner on how to correct any isues the horse may be having. This includes problems such as saddling, bridling, standing still for the owner for mounting, respecting the owner, gate issues with barrel horses, spookiness on the trail, reluctance leaving the yard, rearing, loading, and so much more! Call with any questions you may have concerning your problem horse. We can offer help or suggestions over the phone prior to booking the horse for training. If you have a horse that can't be trained....we can get it done! Including the rank of impossible horse! *Tune Ups/Refreshers/General Exercise: Offering tune ups and exercising for those who haven't the time to get their horses back in shape for competition, trail riding, cattle work, games, etc. If you don't have the time for those first few rides after a long sit in the pasture and don't feel comfortable...bring your horse to us for that 'Spring Refresher'. We can get them back in shape or take the kinks out before you go on that first ride in the spring or anytime of the year. Maybe you want to use your horse on cattle and con't know how he'll react, we can do the first few steps for you. With general exercising, we get your horse back to that 'Race Ready' shape he once had. *Race Horses: Wojo's Horse Training offers starting the young horse and getting them ready for the track. Call us for more details or let us know how we can help your game plan. *Driving: We can train any horse for driving, double or single...from start to finish! *Horsemanship & Lessons: We offer general horsemanship and lessons to beginner riders for trail riding, gaming, barrels, and roping. This service is available with or without a horse. Call for rates. 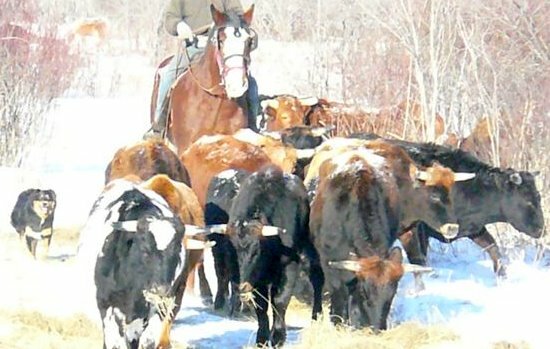 *Cattle Work~Team Roping ~Team Sorting~Team Penning: Whether you need horse training in a particular cattle event, or just general ranch work training, here at Wojo’s we offer everything across the board. We have cattle on premises to work your horse on. The first level, general cattle ranch work, includes getting your horse accustomed to cattle: tracking, herding, sorting, and pasture roping. It may also include cattle round ups and dragging calves. The next level would be more specific to your needs. 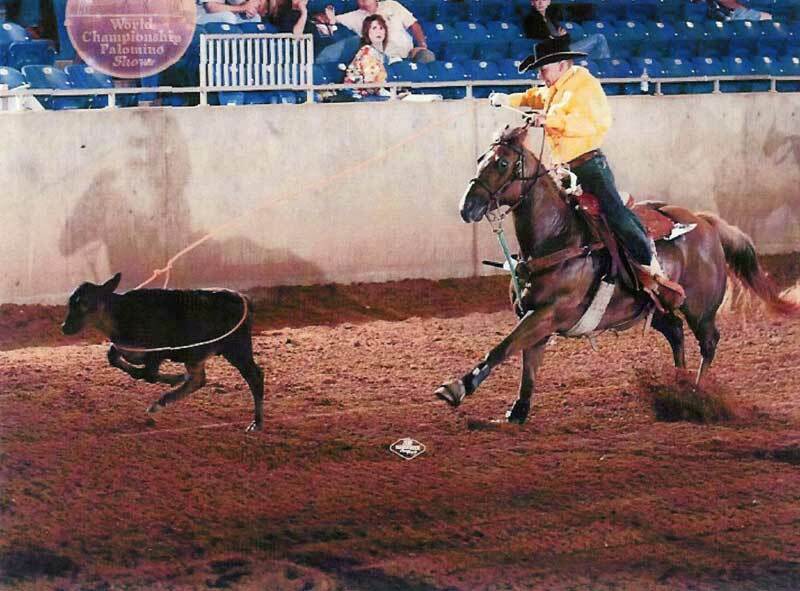 We offer training in team roping, (heading and heeling) team sorting, team penning, and breakaway roping. Again, we prefer to get customer input on training in this aspect. *Sales Preps: Thinking of selling your horse and need help getting him ready for the big sale? We can help get the most out of your horse! We can ride and show your horse to your prospective buyers. We will take the time to clean, wash, brush, and groom your horse so he looks his best when they arrive. We can also offer advice on when and where you may have the best possible sale for your horse. These services and rates depend on each individuals needs, call for rates. *Gaming Events: Gaming events include barrels, poles, flag race, jumping, etc. We can start your horse on any of these and more! Whether you plan to compete at the local level or the world championship level, we will train your horse and work with you. *Showing: Whether you plan to compete at the local shows or the world championship shows, we will train your horse for you. We also offer full coaching, from novice to experienced rider, for you and your horse, at shows. We can show your horse for you (call for rates) or get your horse ready for you to show. Our veterinary clinic is located 5 miles from our establishment, so no worries! Health certificates and Coggins tests can be done within a few days of request. Dr. Lyle Mattson, DMV, licensed in Minnesota. A known and trusted veterinarian for all purposes. We're lucky to have Lyle just down the road! New to our area: Dr. Brad Lage, DVM, licensed in Manitoba & Minnesota. What an opportunity to have Brad right in our backyard!